The Associated Press reported on Sunday that, months after researchers published findings indicating Texas has the highest rate of pregnancy-related deaths in the United States and the developed word, Texas lawmakers failed to take significant steps to address the issue before the end of their legislative session. Now, lawmakers will have to wait until 2019 to address the state’s skyrocketing pregnancy-related maternal death rates, or, more likely, do nothing about it again. The recent study, conducted by researchers at the University of Maryland, found that the state’s maternal mortality rate doubled between 2010 and 2012. 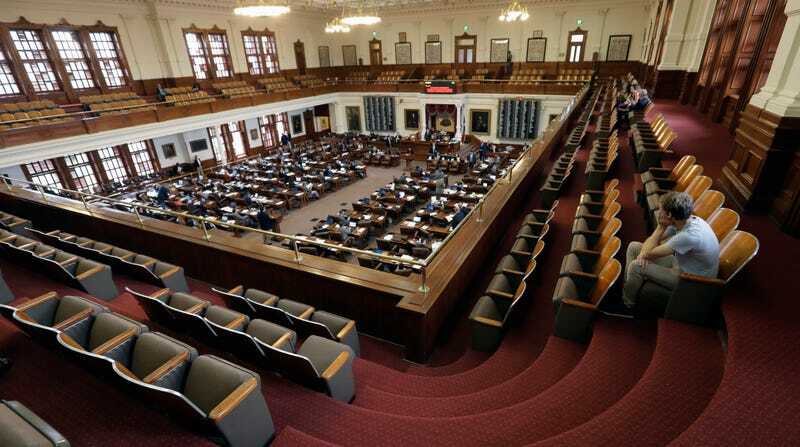 Nonetheless, Texas legislators expressed a much more robust interest in drafting draconian anti-abortion laws that also prohibit donating fetal tissue to research. Republican state senator Lois Kolkhorst actually tried to get something done, introducing a measure that would have extended the end date of Texas’s maternal mortality task force from 2019 to 2023, and allowed researchers to continue to study the specific causes of pregnancy-related deaths in Texas. The task force was established in 2013 amidst growing concerns that the pregnancy-related death rate was on the rise. But that measure failed. The task force has already found that Texas’s growing pregnancy-related mortality rates disproportionately affect black women, who make up 11 percent of births, but 28 percent of pregnancy-related deaths in Texas.